I was browsing through some gluten-free/paleo bread recipes and I noticed they all had the same issue. The bread stays doughy in the middle and it takes forever to bake. So, I thought, “What if I took out the middle?”…and the donut roll was born! I adapted this recipe from A Girl Worth Saving. She uses an interesting blend of gluten-free flours. It’s just coconut flour and tapioca flour. The coconut flour provides the protein and structure, while the tapioca flour provides the chewy texture. It’s the best of both worlds! These sliced and toasted up beautifully the next day for an open-face scrambled egg sandwich. Sorry, I forgot to take a picture once the eggs were done. You can switch out the water for chicken stock (I’ve tried both ways) or any other liquid you like. I think I’m going to try to make an apple cinnamon roll and substitute the water for apple juice. Substitute cinnamon for herbs and sprinkle in some dried apple bits for a slightly sweet roll. I’ll post my results when I get a chance to try it. Of course you can also use any herbs you like. Try tailoring your herbs to your meal. 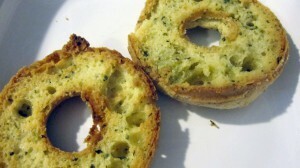 I used half garlic powder and half thyme in the rolls above. 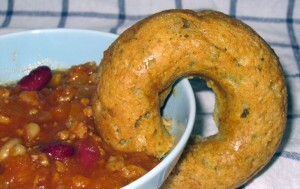 It worked perfectly as a dipper with my Turkey Chili. Next time, I think I’m going to slice the roll into rounds and toast it up as croutons for my soup! No matter how much I oil my non-stick pan, these rolls stick. I think it’s the tapioca. When you bring the rolls out of the oven, take them out of the donut pan right away or the bottoms will get soggy. I used a fork or an offset spatula to pry them out. Both worked equally well. I can’t imagine any gluten-free child feeling deprived with donut rolls instead of traditional yeast rolls at dinner. I know my inner child was delighted! A quick and easy gluten-free dinner roll in a fun shape. In a small pan combine the olive oil, water and sea salt and bring to a boil. Remove from heat and add in tapioca flour. Mix thoroughly and let rest for 5 minutes. Add in the herbs and egg. Mix in the coconut flour vigorously for 1 minute. 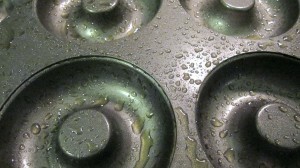 Press into a greased donut baking pan. Bake for 20-25 minutes. Take them out of the donut pan right away or the bottoms will get soggy. If that happens, you can place them back in the oven on a baking sheet for about 5 minutes to crisp up. You can mix this recipe by hand or use a food processor. They both turn out equally well but the food processor dough will be more loose. You'll have to spoon it into the donut pan. I shared this recipe with Saturday Sparks, My Favorite Things, Showlicious, Simple Saturday, Dare to Share, Recipe of the Week, Creative Collection, Best of the Weekend, Savoring Saturdays, Weekend No Rules, Flaunt It Friday, Anything Goes, Fancy This, Inspiration Spotlight, Welcome to the Weekend, Plant Based Potluck, Real Food Friday, Foodtastic Friday, Old Fashioned Friday, Natural Family, Simple Meals, Five Friday Finds, Craft Frenzy, Show & Tell, Foodie Friday, BFF Open House, Weekend Bites, Foodie Friends Friday, Fun & Crafty, Frugal Friday, Inspired Weekend, Friday Favorites, Link Party, Homeacre Hop, Inspire Us Thursday, No Rules Weekend, Tutorial Thursday, Feathered Nest, Doggone Dirty Craftin’, Simple Lives Thursday, Creative Exchange, Let’s Get Real, Pennywise Platter, Gluten Free Friday, What’s Cookin, Recipe Roundup, Favorite Things, Wildly Original, Full Plate, Look What I Made, It’s A Party, Real Food Wednesday, Wildcrafting Wednesday, Mountain Woman Rendezvous, Wellness Wednesday, Fresh Food Wednesday, Down Home Hop, Wow Me, Wonderfully Creative, Wake Up Wednesday, Creative Muster, Wined Down, WFMW, Wednesday Whatsits, Yuck Stops Here, Allergy Free Wednesday, Waste Not Want Not, FDTR, Tuesdays with a Twist, Too Cute Tuesday, Tutorial Tuesday, Be Awesome, Fat Tuesday, Southern Special, Tasty Tuesday, Delicious Dish, Caffeinated Crafters, Take A Look, Inspire Me Tuesday, Inspire Me Monday, Good Tips, Totally Talented, Share Your Stuff, In & Out of the Kitchen, Simple Supper, Hearth & Soul, Handmade Tuesdays, You’re Gonna Love It, Anti-procrastination Tuesdays, Try A New Recipe, GF & DIY Tuesday, Tuesday’s Table, Turn It Up, Made by You, What’d You Do This Weekend, Thoughtful Spot, Mad Skills, Mostly Homemade, Homestead Hop, Mouthwatering Monday, Real Food Recipes, Thank Goodness It’s Monday, Meet Up Monday, Sweet & Savory, Creative Monday, Simple Life, Happiness is Homemade, Clever Chicks, Mix It Up, Motivation Monday, My Favorite Things, Block Party, Munching Monday, Melt in Your Mouth, Showlicious, Much Ado About Monday, See Ya in Gumbo, Recipe of the Week, Round Tuit and Sew Darn Crafty. This entry was posted in Baking, Recipes and tagged baking, bread, corn free, dairy free, egg, gluten free, paleo, sugar free, yeast-free. Bookmark the permalink. And that donut looks good! I still need to attempt to make a GF donut! These look great. Thanks for linking up to Gluten Free & DIY Tuesdays. I hope to have you back again next week. What a delectable treat!It’s fun to perk things up at dinner! I would probably make these with flax eggs.Thank you so much for sharing this delicious Donut Rolls recipe at the Plant-Based Potluck Party Blog Hop! I appreciate it! I printed this recipe and will definitely try it. Thanks so much for sharing on Real Food Fridays. I pinned & twitted. What a great idea, to “take out the middle!” I know my son will LOVE eating “donuts” at dinner. I can’t wait to try this recipe! They look perfect for dipping into soups, yum! Thanks for linking up to Sweet and Savoury Sunday, stop by and link up again. Have a great day!! Fun and inspired removing the middle. I had to smile when I saw your picture. Those depressions…my grandpa always said that those holes in bread were where the baker slept! Thanks for coming by and sharing, Jillian! Great recipe for yummy donut rolls! Hope you are having a great weekend and thanks so much for sharing with Full Plate Thursday. Donuts and rolls are two of my favorite things. These sound intriguing and good! Oh my…this looks so delicious. I have never heard of a donut roll. It looks delicious with that soup. Thanks so much for sharing this over at The Southern Special. Have a great week. Great recipe love that it is so versatile. 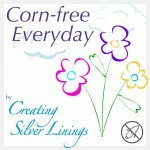 Thanks for sharing on Real Food Fridays, shared and pinned. These are so fun! I love using coconut flour and tapioca flour together, so this is right up my alley. Thanks for sharing at Simple Meals Friday, I’ll be pinning this one! These are great! I’m going to feature them tonight at this weekend’s Savoring Saturdays. Thanks so much for sharing them, Jillian!